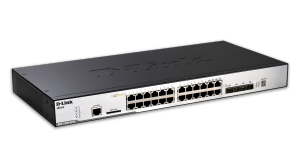 The DGS-3120 xStack Series are enhanced L2 access stackable switches designed to connect end-users in a secure SMB or enterprise network. 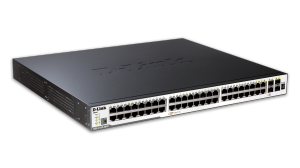 These switches support physical stacking, multicast and enhanced security, making them an ideal Gigabit access layer solution. 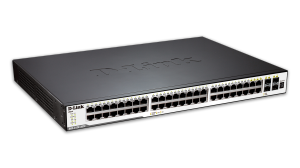 They are available with 20 or 44 10/100/1000 Mbps Gigabit Ethernet ports and 4 Gigabit Combo (RJ45/SFP) ports. In addition, there are two 10GbE stacking ports (CX4). Models are available with or without PoE support. 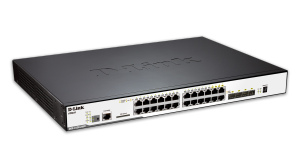 The DGS-3120 ships with a full suite of L2 features and functionality with the default Standard Image software. An optional Enhanced Image (EI) software upgrade is available, which adds advanced features such as L2+ Static Routing.